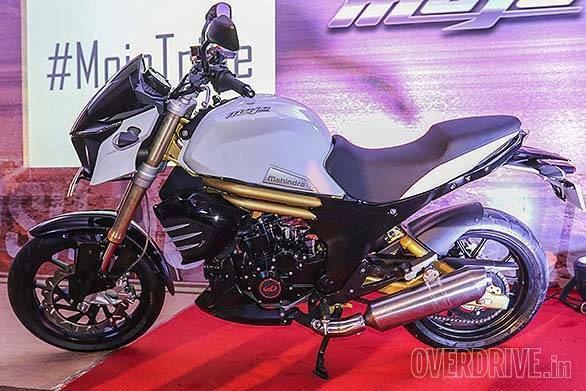 After showcasing the final production form at the 2014 Auto Expo, Mahindra's two-wheeler arm is finally ready to launch its 300cc quarter-litre challenger in the Indian market. We have just had a quick technical briefing about the Mojo and you can expect a first ride report soon. Meanwhile, here is all the technical stuff you need to know. 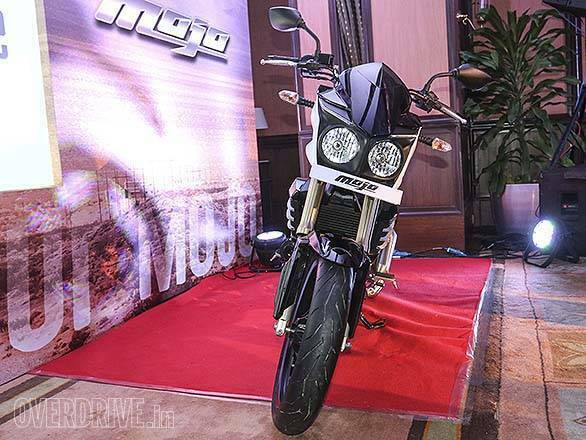 It's no secret that the Mojo will be powered by a 295ccc engine, but the official output is claimed to be 27PS at 8,000rpm and 30Nm at 5,500rpm, which is higher than its immediate rivals - the KTM Duke 200 and the Honda CBR250R. 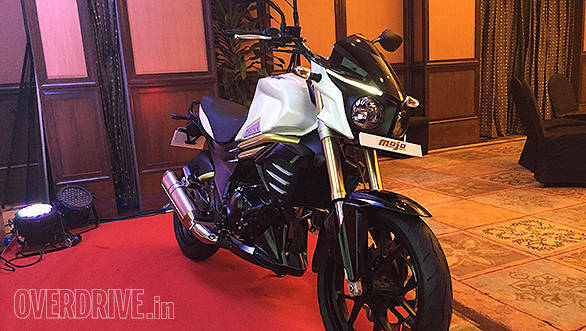 The latter is the primary target for the Mojo as Mahindra is pitching it more as a long-distance tourer than a street fighter like the Duke. The torque is said to have a flat curve between 4,500 and 6,700rpm, which should make the way the bike behaves very interesting. 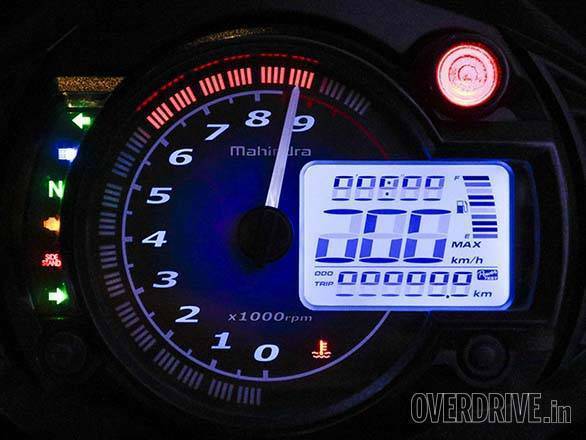 Mahindra hasn't revealed any performance figures yet, but is hinting that the top speed could be well over 150kmph. The engine is a liquid-cooled, single-cylinder petrol mill with double overhead cam shafts. It is mated to a 6-speed gearbox. The clutch isn't the slipper-type, and it shouldn't be confused with the slipper torque mechanism used for the starter motor (something that Mahindra is likely to highlight in the showroom brochures). Mahindra says the slipper torque mechanism is required to manage the engine during startup, because the torque, even at idle, is very good. Someone managed to crank up the bike for us and it sounded rather nice for a single-cylinder motorcycle. The twin-exhaust system is specially designed to produce a unique note and the system comes from an unnamed European manufacturer. The engine runs 10W50 oil and the radiator mechanism comes with a hot air defection system to avoid the heat from flowing on to your legs. The engine and gearbox are mounted in a coaxial configuration from a twin-tube chassis. 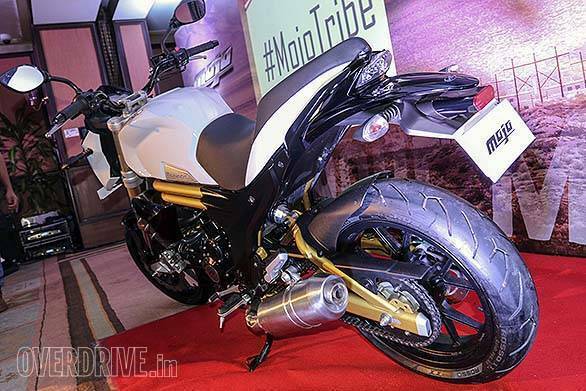 The suspension comprises of a pair of inverted forks at the front and a monoshock rear. There seems to be plenty on travel on the front suspension (143.mm), necessitating the need of a rigid triple clamp unit. The rear uses a box-type swing arm with the monoshock unit mounted at an angle of 25° to the ground and can travel up to 143mm. 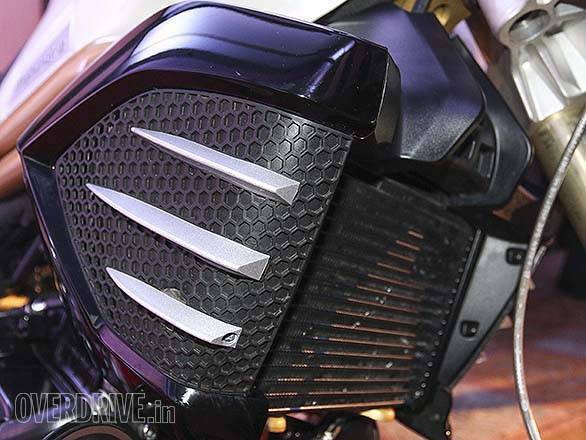 The bike weighs 165kg dry and has at a ground clearance of 173.5mm. The wheelbase is 1,465mm. 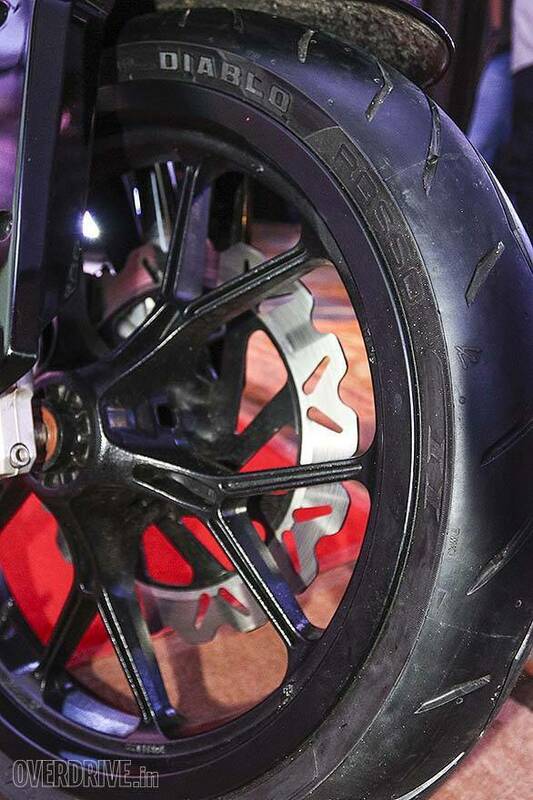 Pirelli Diablo Rosso II rubber is standard on the Mojo - 110/70-17 for the front and 150/60-17 for the rear. 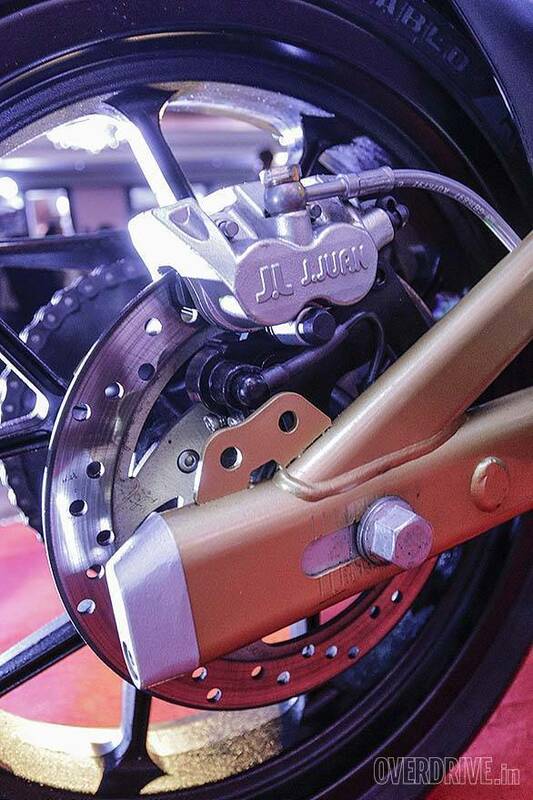 The petal disc brakes - 320mm at the front and 240mm at the rear - are from a Spanish brand called Jjuan and run sintered brake pads. No ABS yet, but it's on the anvil and expected in the next couple of months. Mahindra says that the brakes are designed to be more progressive than sharp. Apart from the brakes and tyres, some other components are also being imported. This is an interesting approach that Mahindra is taking, where it is importing key components like tyres and brakes rather than localising these like most other manufacturers. 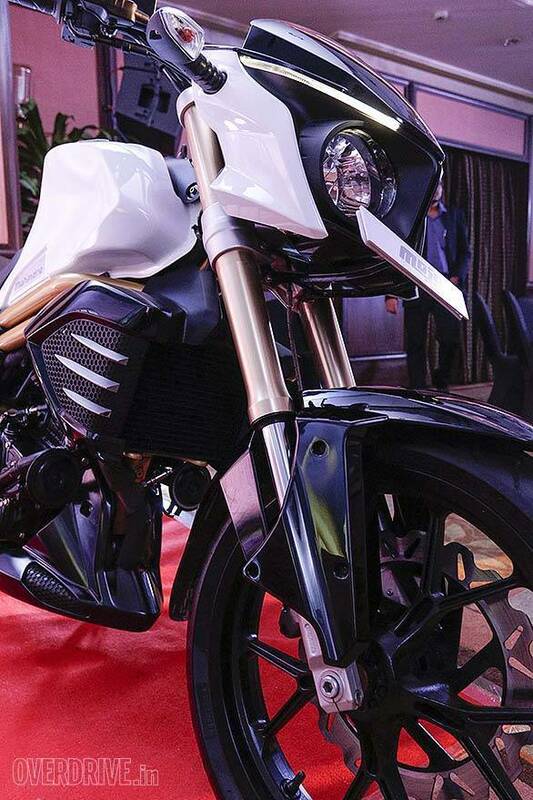 The reason Mahindra took so long to bring the bike was because the R&D wanted to focus on making the product, its manufacturing and servicing procedures as simple as possible before releasing it into the complicated 200-300cc segment. Stay tuned for our ride report which comes in today.